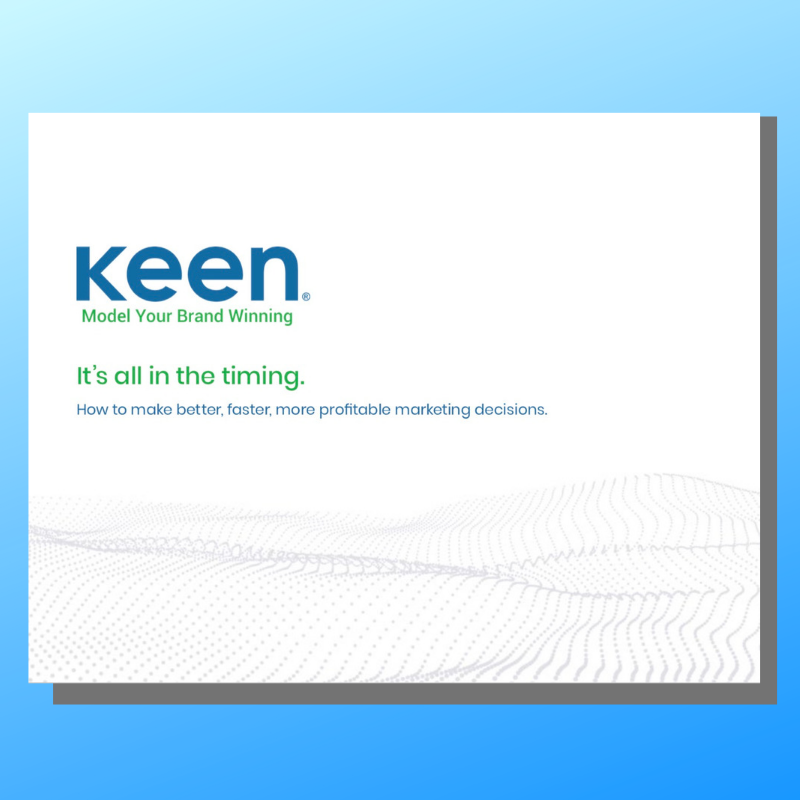 In this brief, five-minute video, Keen Decision Systems' CEO Greg Dolan highlights the top marketing trends for progressive companies in 2019, and explains the role of unified marketing measurement in ensuring they deliver. If It's All in the Timing, How Can Marketers Get in the Right Zone? Travel back in time with us to the equivalent of the marketing Stone Age. A time when survival tools for marketing planning and effectiveness were, well, blunt instruments at best. Traditional marketing mix analyses measured last year's channels and investment levels, not exactly a precise indicator of future performance. Like Narcissus in the reflecting pool it's virtually impossible for us marketers to turn our gaze away from our dashboards, clicking, whirring and blinking with impressions, clicks, shares, likes, reach, engagement, open rates and more. We've gone from no metrics to a Pandora's box of vanity metrics— full of sound and fury — but here's the ugly truth: signifying nothing. None of these metrics can be directly, positively or predictively correlated to top- or bottom-line improvement. It's time to look elsewhere.